With infinite patience we expected to receive payment on the sponsorship of our team Androni - Venezuela in 2014, but unfortunately we have not yet received anything. The contract between our company and the Venezuelan Federation of Cycling - endorsed by the Venezuelan Ministry of Sport - was signed January 29, 2014 at the headquarters of the Venezuelan Olympic Committee, attended by President Eduardo Alvarez and all means of communication, which have given wide coverage in national and international level. - We have the team affiliated to the International Cycling Union, with the name Androni - Venezuela. - We presented the name of Venezuela - which according to sponsors - the official uniforms of the race, on clothing from rest, on vehicles and on all advertising media regarding the team. - We participated in 160 days of competition in official competitions of the UCI International Calendar, exactly double of 80 envisaged by the contract. - We have donated to the Venezuelan Federation of Cycling two flagships Cars used in the 2013 racing season. According to the contract in January 2014, as consideration for the aforementioned advertising services, the Venezuelan Federation of Cycling should have paid the amount stated in the contract no later than April 2014. We are at the end of February 2015 and we have not received anything! We have so far demonstrated full understanding, taking into account the bureaucratic delays and based on fairness demonstrated in recent years by the Venezuelan Federation of Cycling, with which we started a major project. But now the situation has become untenable. Without receiving anything from the second team sponsor, we can say that it has made ​​a miracle in being able so far to honor all commitments. This was made ​​possible for the credibility we have gained at the pool of sponsors Italian in 30 years of business. In fact, companies who support our team anticipated in 2014 most of the contractual amounts 2015. Without their intervention, the team could not continue the business. Last year - according to the project agreed with the President Artemio Leonett for the development of cycling Venezuelan in the world - were also incurred all expenses related to the activity in Europe of the Venezuelan National - in the categories Elite and Sub23 - for the preparation and participation in the World Championships in Ponferrada. We demand the respect of the sponsorship agreement in 2014, at the time endorsed by the Venezuelan Ministry of Sports. 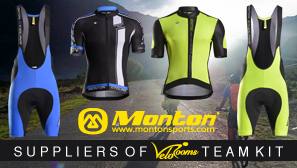 We do not ask anything for the presence of the name in 2015 Venezuela on the uniforms of our team because it is part of an agreement - which expires next month - defined by the Venezuelan Federation of Cycling awaiting ministerial approval. However, we are pleased to have offered, even in this early season, a big promotion to the name Venezuela. Indeed, we have competed in just over a month in three continents: America, where we won with Carlos Galvis, Oceania and Europe where we have achieved good results. We would make public the information in this open letter to the need to safeguard the credibility built in 30 years of proper activities. We trust that the Ministry of Sport Venezuelan keep faith with the commitments made ​​at the earliest, so you can make known with another open letter. The Silver Fox bought some prime-quality snake oil, it seems. This is not how business is done in the Silver Fox' world. You shake hands, you deliver. Who knew Gianni was such a prolific letter writer. However he seems to be stuck talking about the same subject as he was in March. if there is no response from you (the Venezuelan Cycling Federation) before the end of September, a lawsuit will be filed in the Court of Aigle, the city where it is located The International Cycling Union. A lawsuit of this nature would be very serious for the Venezuelan Cycling once, after reviewing all documentation and forward the relevant research, the International Cycling Union disenrolled the Venezuelan Cycling Federation for serious contractual breach and, in this case, Venezuela may not participate in cycling competitions of the Olympic Games in Rio de Janeiro or in any other cycling event for National Teams worldwide. You know, he actually strikes me as someone who'd sit down with a nice piece of paper and his favourite pen and channel his outrage towards the Venezuelans into the written word that way. I can visualize him better dictating his letters. Pacing up and down the floor in his high ceilinged office, as some Catarella-type underling makes one humorous mistake after another with the dictated missive. - the Venezuela-problem is solved. The new minister has responded to the open letter. The two guys between Savio and Țvetcov should really shave their moustaches off. Pellizotti looks like a very bad impression of Super Mario. Shave off that 'stache, and bring back the locks! Bernal is not doing the Giro this year, he will go to Spain for the Vuelta a Madrid first, followed later in the month by the Tour of Bihor. At age 19, it's the right decision I guess. Nobody in colours will do the Giro this year. I read the heading dell'ACCPI published by your journal in which it is said that the two teams not invited to the Tour of Italy are likely to cease their activities, but for us it is not so. Mario Androni, very disappointed at the failure to invite, said it will cease its sponsorship but I'll try to change his mind and other entrepreneurs such as holders of Sidermec and Loreto have assured me their support to bring the team forward. Androni will have a link-up with Bolivia in some form or other. An agreement has been reached to define a collaboration that will lead to the creation of a satellite formation of Androni - Sidermec in the Andean country with the aim of "growing the best runners in the South American country towards professionalism". However, this is only a "first step of this project by the Bolivian ministries, which should soon involve the professional team". However, the details of this further phase are still to be defined. Since Juan Hortelano is behind the Bolivian side of things the chances of this ending well are slim to none (and Slim just left town). Watch out Gianni!